The commercialization of Drones, also known as Unmanned Aircraft Systems, “UAS”, small UAS, driverless cars, aquatic robots, and whatever other creations come in the future, is a societal and market disrupter of major proportions. The impact is on a level similar to the commercialization of the Internet, Computers, Aviation, Automobiles, and the Telephone. Every individual, company and property owner in the United States is impacted by the commercialization and availability of Drones. 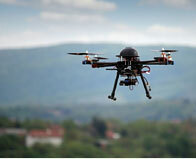 Federal law requires the Federal Aviation Administration (FAA) to issue regulations to enable commercial licensing of Drones in the US by 2015. Already, hobbyist and business use of Drones has become commonplace raising big questions about liability, privacy, safety, training, and state and local regulation. DroneLawyer.com provides a free, quick and easy online directory of lawyers who hold themselves out as Drone lawyers. We help you find a Drone lawyer. We do not provide any recommendations or warranty of the services of any particular lawyer. Nor do we provide any legal advice. DroneLawyer.com will accept for listing the information any person who has publicly been identified online by that person or by a media publication as a lawyer who practices in, and/or provides legal scholarship or commentary regarding, the commercial use of drones/UAS/UAV in the United States. This includes lawyers who specialize in aviation law, FAA or FCC Regulation, or UAS/UAV industries, as well as lawyers who practice in other areas, who have included drones and related legal issues. Also included are lawyers who work for nonprofit organizations devoted to protecting against the use of drones against the interests of personal privacy and private property rights as well as law professors who have contributed to the legal scholarship in the field of drones/UAS/UAV. Further, in order to qualify for listing at DroneLawyer.com, a person must have graduated with a J.D., L.L.B., LL.M., or S.J.D. from an accredited law school and/or is a member of the bar association of one of the States or a federally recognized Tribe. No information shall be accepted for listing that is inaccurate, misleading, or uncivil in any respect; nor shall any information be accepted for listing that is disparaging of any other person or group of persons, or that contains any epithet that is racist, sexist, or discriminatory in any way or if the online publication of such information would violate any rule, regulation or order to which a person may be subject. Each lawyer is responsible for compliance with all applicable laws, rules, and regulations concerning attorney advertising. All determinations of whether to accept a person for listing shall be made in the sole and absolute discretion of DroneLawyer.com and no person shall have any right to appeal or challenge any such determination. No person shall have any rights or ownership interests in DroneLawyer.com or in such person’s listing at DroneLawyer.com, provided that DroneLawyer.com will cease to publish the listing of any person who notifies DroneLawyer.com in writing that such person requests their listing not to be published at DroneLawyer.com, within thirty days after receipt of such written request by DroneLawyer.com. DroneLawyer.com is a division of Serves You Right, Inc. which is based in South Dakota; accordingly, the venue for any and all disputes arising out of DroneLawyer.com shall be fixed in Custer County, South Dakota if in state court or in Rapid City, South Dakota if in federal court. DroneLawyer.com has no obligation to update the information in any listing to reflect changes. Each person may submit updated information which shall be subject to acceptance by DroneLawyer.com in accordance with the listing policies.